Senior moving guide – where to retire? Retirement can be a real blessing if you know how to enjoy it. More and more seniors every year decide to move to the other state or country once they retire. And if you think about it, it makes sense. The place that was ideal for you while you were living a busy working life is often not convenient for you anymore when you retire. You need different things in different parts of your life. While you enjoyed the fast living community while you were young, you will probably prefer peace and quiet when you become a senior. What you need are two things. Reliable moving company and a nice place for retirement. While Moving Buddies Tucson Arizona can help you move, we would like to present you our senior moving guide. Where to retire? Let’s find out. Many people look forward to retirement. And why shouldn’t they? People spend their youth and most of their lives going to work every day, and once they retire, they want to catch up on everything they were missing through the years. To travel, take long walks, enjoy the food and their hobbies. Basically to do everything they didn’t have time for before. And where to retire? Let’s find out. Don’t miss to visit famous Arizona Sonora Desert. If you are looking for a perfect place to bring out the most in your retirement, you should start with Arizona. If warm weather, outdoor activities, and golf sound good to you, Green Valley might be a good place to start over. Green Valley is an amazing collection of communities and developments located in Southern Arizona. It’s one of the safest, most cost-effective, and fun-filled retirement communities in the country. Interestingly, the median age for the Green Valley population is around 71. That makes it one of the larger, most active adult communities in the world, including over 21,000 residents and 59 Homeowner Associations. Residents can travel around in golf carts, which helps a lot with their walkability. Also, it offers good value for the beautiful housing and amenities provided. Located below the Santa Rita Mountains, Green Valley has a comfortable average temperature of 68.9 degrees. The climate stays fairly moderate during the year, with a short cold period in the winter. The dry and warm climate is especially important for those who want to escape harsh winter months and find relief for arthritis. When it comes to entertainment, the non-profit, Green Valley recreation is unbeatable. It has 13 recreation centers with all the amenities you’d expect. You can enjoy golf courses, swimming pools, and fitness centers. There are several wildlife museums, state parks, and national monuments. And don’t miss to visit the famous Arizona Sonora Desert. Maybe you see yourself enjoying the Caribbean? For many years now, Florida is a popular choice for retirees from states across the eastern part of the U.S. The Sunshine State’s weather is probably the key reason for their decision. Despite a bit higher costs of living and higher crime rates, Florida gets votes for its tax structure. This state has no state income tax and sales and property taxes aren’t unreasonably high in light of the income tax savings Florida provides. Therefore, although cities are expensive, you can find more reasonably priced areas of some cheaper states. Are you still wondering where to retire? When most people think about retiring overseas, they think it’s a luxury they can’t afford. 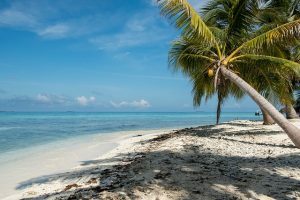 But actually, more and more people are considering moving to another country when they retire because their retirement money might provide them much more than living where they currently do. Imagine a country that is cheaper than yours and could offer you real senior adventure. Sounds too good to be true? Well, think twice. Let’s find out why you might want to consider spending your retirement in exploring a new country and culture. First of all, Belize has the perfect climate. Located on the Caribbean, just south of Mexico, it has beautiful beaches with the flavor of small-town living. Plus, its banking system is very secure and favors foreign investors. If that’s not enough to attract you, Belize has set-up a program for what they call Qualified Retired Persons (QRPs). This program enables retirees to import their goods without imposing a fee or penalty. Additionally, they offer tax-free income that you earn from outside the country. If you’re looking for exceptional health care, rich culture and cities with moderate climates, France is definitely worth considering. With many properties available for by affordable prices, this country is an excellent choice for retirees. And not to mention all that cheese and wine! Interestingly, Ecuador has received a lot of great press recently. Cuenca is proclaimed to be the best city to retire to in the world. 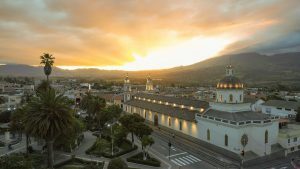 Surrounded by volcanoes, Cuenca offers a temperate climate and very rich culture. Beside amazing colonial architecture, this is the least expensive city for living. People who have visited Ecuador, say that the best part is the people. They’re warm, generous and kind and welcoming. Also, Ecuador also has a diverse eco-system with both the Amazon and the Galapagos within their borders. Maybe you can for a visit first. And if you like it, you can stay! Now that you have time, you can sit and patiently explore all the places you find interesting and decide where to retire. You can even go on a trip around the world, to get the inspiration. Also, nobody says it has to be only one place, you can move every few months somewhere else. And, once you find your dream place for retirement, try to relax during the move. You are not in a hurry, remember, you are retired!